The Lincolnshire town of Boston is historically one of England’s most significant freight hubs. It’s port was at one time a focal point of sea trade with various European lands, and in the early days of the national railway system Boston was the site of the main depot of the regional railway company. Today, the torch of distributing goods in the region has passed to companies like Fast Forward Direct Courier Delivery Services of Boston. When some local residents left for America in the 17th century, they took the name of their town with them and established Boston, Massachusetts in the USA. This town rose to become a centre of trade and industry – its commuter catchment area is currently ranked sixth largest in the country. Similarly, effective business courier services in Boston UK allow the town to punch above its weight in terms of local commerce. With over 20 years experience in the industry, Fast Forward Direct are a Boston courier offering a range of delivery services in Boston and throughout the UK. Our Same Day and Next Day services are popular with local businesses who depend on us to get their products to customers on time and in good condition. We have a dedicated and conscientious team of drivers who are ready to respond to your needs, including multi drop specialists and several who are hazardous load qualified. 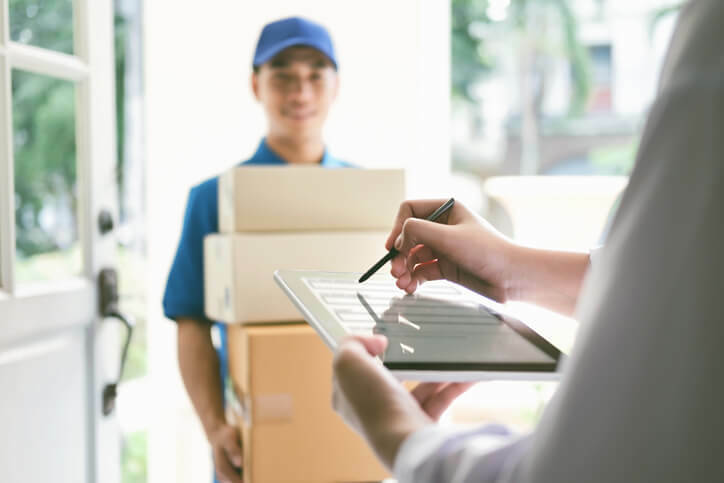 Our flexible model allows us to respond quickly to the demands of your business, and provide solutions ranging from one off deliveries to regular contracts, and parcel receiving and pick-and-pack services. Our goal is to offer a complete set of delivery services in Boston UK. We are constantly looking for ways to offer our customers better value. One of our recent innovations is the introduction of a real time online consignment tracking service, which allows our customers to keep tabs on their goods using the internet in order to plan for its arrival. Fast Forward Direct Courier Delivery Services want Boston UK businesses to get ahead, so contact us and let us know how we can help you to succeed.